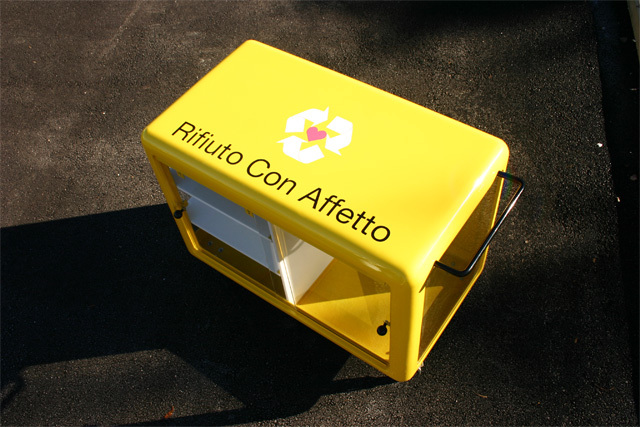 The RCA dustbin was specially designed for the RCA project. 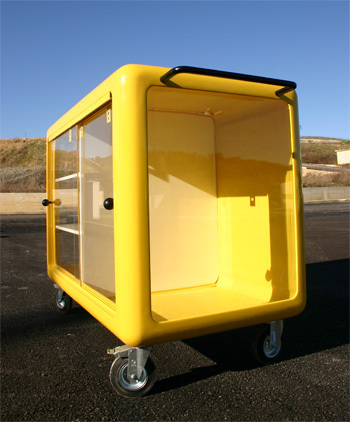 The transparency and the sliding doors are the new features of a dustbin that is symbol of a new habit. The funny forms and the attracting colour give it both a social and an aesthetic value. The dustbin is delivered 100% assembled. 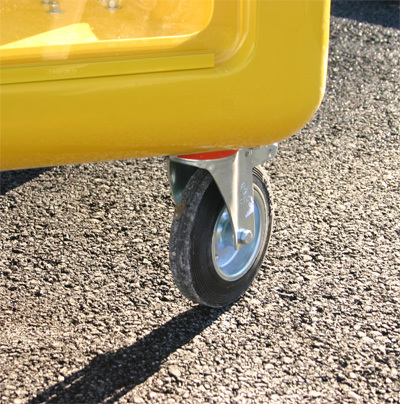 The wheels and the lateral big handle will allow you to move it very easily.